Posted by Sam Smith on Monday, August 22nd, 2011 at 10:29pm. If you are familiar with Newport Beach then you are well aware of the Fashion Island shopping center known for it's International appeal of top of the line shopping reminiscent of Rodeo Drive in Beverly Hills. Fashion Island is located just blocks to the Bay & Pacific Ocean and the famous Balboa Island. Finding a home in this area can be very expensive as the Fashion Island area is one of the most desirable locations to find a home. 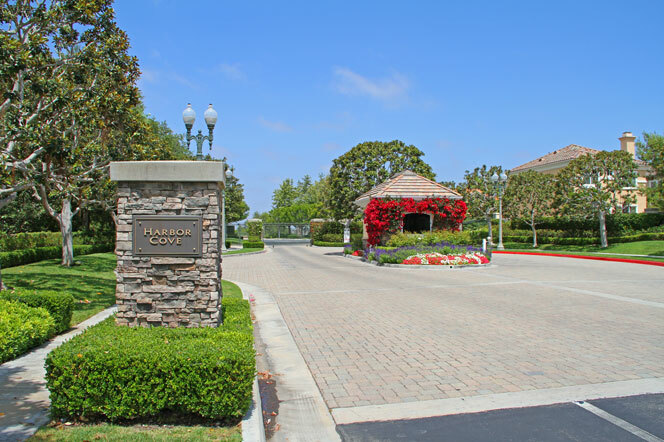 The Harbor Cove gated community is an exclusive neighborhood that is located just outside the Fashion Island area. Known for it's large luxury homes, Harbor Cove homes currently range from $995,000 to $1,595,000 in the Harbor Cove Promenade and $1,500,000 to $1,938,000 in the Harbor Cove Palisades community in Newport Beach, California. These two communities make up some of the most expensive real estate for sale in Newport Beach. If you are in the market for a luxury home located in a gated community on a safe cul-de-sac street then you may be interested in this newly listed home located in the Harbor Cove Promenade community. If you would like additional information on the Newport Beach Real Estate marketplace please contact us today at 949-444-1901. We look forward to helping you find the perfect Newport Beach home!